Are you checking Edogawa City Track & Field Stadium? The Edogawa City Track & Field Stadium is an athletic field for the citizens located in Edogawa City, Tokyo. What you can do here is not limited to the track and field athletics. On the natural grass field, ball games, such as football, rugby, and lacrosse, are also held. 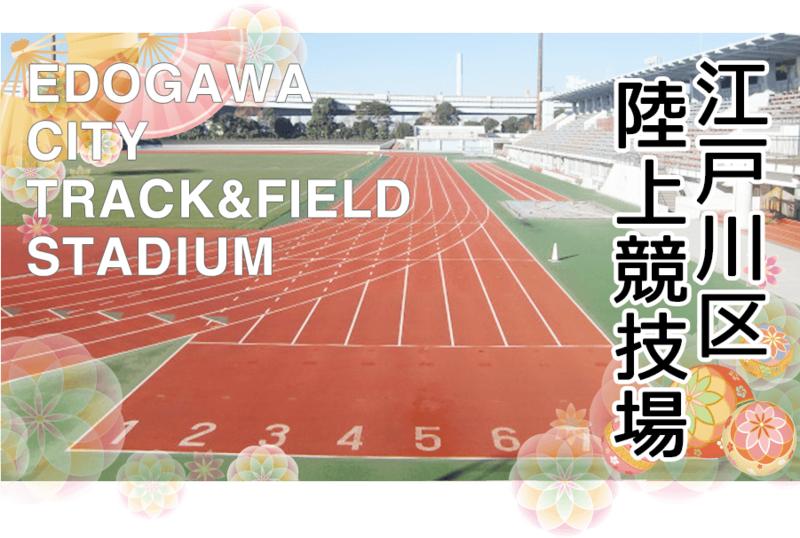 ○ Would you like to run at the Edogawa City Track & Field Stadium? On days when events are not held, you can personally enjoy running here. First of all, please pay ¥210 (before 17:00) or ¥310 (after 17:00) in cash at the front desk. You can run along the athletic track circuit. In addition, you can use a rocker room and take a shower. Please confirm the schedule from this page. Please come to the Stadium at the time having the marking of 「一般利用 (This means “Open to the public.”)」 in Kanji.